Ooey-goey, soft in the middle, crisp on the outside…the ultimate sweet treat! Although, you’ll have to refrain from eating all the raw dough. This is by far the best chocolate chip cookie recipe, it’s simple, delicious, and makes about 3 dozen cookies. The dough freezes beautifully, so you can have fresh, warm chocolate chip cookies whenever you have a craving. Combine flour, baking soda and salt in small bowl. Beat butter, granulated sugar, brown sugar and vanilla extract in large mixer bowl until creamy. Add eggs one at a time, beating well after each addition. Gradually beat in flour mixture. Stir in morsels and nuts. Drop by rounded tablespoon onto ungreased baking sheets. If you have silicon baking sheet (Silpat), this is a great chance to use it. Lay it over your baking sheet and drop the cookie dough right onto the sheet. This truly sounds like the perfect chocolate chip cookie ! I can’t wait to make these. Thanks for sharing! Ah! Where’s the milk. Great – hope you are doing well my dear friend. Mmmmmm, can ‘t wait to taste one! The Boston Globe published the Toll House Cookie recipe in todays food section. 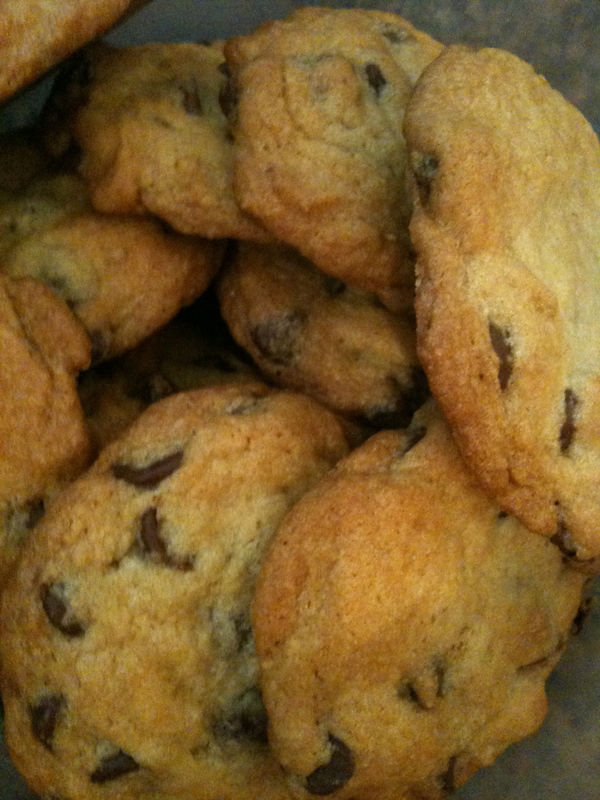 It’s still one of the best chocolate chip cookie recipes around!